LAWRENCE — The University of Kansas is bursting at the seams with creative exploration. Arts in April will celebrate the robust, inventive arts community on campus. 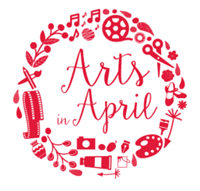 A complete list of Arts in April events and details are available online. The public is welcome to all Arts in April events. Be sure to post and tag Arts in April photos and fun with #KUArts16 for a chance to win prizes. There will be mid- and end-of-month drawings.